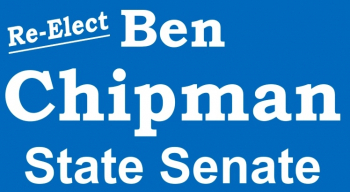 Ben Chipman is a self-starter and a lifelong Maine resident. Growing up in a single-parent household in rural Maine, he quickly learned the value of hard work. Raised in a family of volunteer firefighters and paramedics, the importance of community service was instilled in Ben at a young age. He put himself through college, graduating from the University of Maine in 1997. Known as someone who makes things happen and gets things done, Ben has spent most of his adult life as a community organizer, advocate and leader. He has experience working on and supporting important issues, including education, pay equity for women, environmental protection, health care, affordable housing, reproductive rights, campaign finance reform, and transportation, as well as being a staunch advocate for his East Bayside neighborhood. In East Bayside, Ben worked to help secure funding for community policing. Chief Sauschuck then recognized him for his advocacy by appointing him to serve on the hiring committee for the neighborhood’s new community policing coordinator. Inspired by his dedication to the future of Portland and his commitment to giving voters more voice in their City Hall representation, Ben made his first run for office in 2009 and was elected to the Portland Charter Commission. There, he brought the concept of ranked-choice voting to the table and was successful in getting it implemented here in Portland for mayoral elections. Following his service on the Charter Commission, Ben was encouraged by friends and neighbors to run for State Representative in 2010 and was elected to represent the neighborhoods of Parkside, Bayside, and East Bayside, where he served for three terms. In 2016, Ben was elected to the State Senate seat in District 27, vacated by Justin Alfond. He takes his role as a legislator seriously and has a perfect attendance record since first being elected to the Legislature in 2010. Ben is running for re-election because it is more important now than ever to have strong, experienced leaders in Augusta who can leverage relationships to get things done. He has worked in a divided government for the last eight years, and has consistently worked across the aisle to get things done on important issues. Living in one of the most challenging neighborhoods in the city, Ben knows that Portland needs a fighter in Augusta who will put their constituents first. He considers it an honor to represent the City of Portland and is running for re-election to the Senate to continue his leadership on important issues such as economic opportunity, health care, education, housing, and ending the opiate crisis. • A woman’s right to make her own reproductive decisions - Ben has worked to defeat Republican efforts to limit a woman’s right to choose, and he has been a staunch supporter of Planned Parenthood, with a 100% voting record on their scorecard. • An economy that works for everyone - Ben supported and helped protect increases in Maine’s minimum wage and supports pay equality for women. • Funding for education - Ben worked to secure a $2.7 million increase in state education funding for Portland in 2017, an additional $1.3 million for Portland in 2016, and worked to block major budget cuts at the University of Southern Maine. Ben has a perfect voting record from the Maine Education Association. • Expanded access to health care - Ben advocated for and helped pass Medicaid expansion and has fought to make sure it is fully funded. • Property tax relief - Ben supported an increase to the Homestead Exemption; now the first $18,800 in property value for Portland homeowners is exempt from property tax. • Addressing drug addiction - Ben co-sponsored and helped pass a bill to provide $3.7 million to expand drug treatment programs; Ben wrote and passed a new law expanding access to naloxone. • Respecting the will of the voters - Ben has led multiple efforts to protect the citizens initiative process and has worked to defend and implement laws passed by the voters. If re-elected, Ben will continue to fight day in and day out for every one of his Portland constituents. In such a challenging political time for our country, it is Ben’s experience that makes him the right choice for Senate. As someone who grew up in a family of paramedics and firefighters, Ben is passionate about doing everything we can to save lives. Over 400 Maine residents died last year from drug overdoses. In response, Ben introduced a bill to expand the availability of naloxone, which reverses the effects of an overdose and saves lives. Knowing that Governor LePage does not support naloxone and would likely veto the bill, Ben knew he has his work cut out for him. Ben worked together with one of the most conservative members of his committee to draft a bill that would receive broad support. His bill received unanimous support from the Health and Human Services Committee and passed in the House and Senate. Then Governor LePage vetoed the bill. Because of the relationships Ben has built with Democrats and Republicans over his eight years of service in the Legislature, he was able to secure the 2/3 vote necessary in the House and Senate to override the veto. This bill became law because of Ben’s experience, hard work, relationships, and ability to work across the aisle, and lives will be saved as a result. Ben has been an advocate who has worked to bring quality, good-paying jobs to his district and to connect his constituents with employment resources. In the Senate, he led an effort to develop more workforce training programs for New Mainers - an effort that was ultimately blocked by Republicans. Additionally, Ben was successful in passing a bill that cut red tape for small business beverage startups in Portland and across the state. Ben is also a strong advocate for increasing the minimum wage and helped support the ballot referendum in 2016. He has also supported efforts to establish pay equality for women and is a strong supporter of labor unions. Ben has led multiple efforts to protect the citizens initiative process and has worked to defend and implement laws passed by the voters. Ben has been a strong supporter of Maine’s Clean Elections program and has run as a Clean Elections candidate in each of his campaigns. He recently joined others in filing a lawsuit against LePage for refusing to release Clean Elections funding. Ben is a vocal proponent of good governance and campaign finance reform, and does not take any funding from PACs, special interests groups or lobbyists. He believes that money is a corrosive force in our political system and will support all efforts to limit its impact. Ben is a strong advocate for a woman’s right to choose and recently supported a new law expanding reproductive health care for women. He believes that given the national political climate, states are our last line of defense against attacks on women’s health care and that Maine must do everything it can to ensure that women have the freedom and resources they need to make their own decisions. Ben is a strong supporter of Planned Parenthood and has received their endorsement for his re-election. Ben recently received a perfect score on his voting record from Maine Conservation Voters and they are endorsing his re-election. He believes that climate change is the greatest threat to ever face our planet. As a legislator, Ben served on the Environment and Natural Resources Committee for four years, where he supported efforts to mitigate the effects of climate change and brace our state for warmer ocean temperatures and more extreme weather. In the Senate, Ben has supported efforts to increase solar power, preserve public lands, and protect Mainers from mining pollution. If re-elected, he will continue his efforts to push for a proactive approach to climate change mitigation and adaptation, and he will fight back all Republican efforts aimed at derailing our state’s solar energy program. Ben has served on the Health and Human Services Committee in the Senate and one of his top priorities has been to advocate and then defend Medicaid expansion. He has been an advocate for individuals with disabilities while in the Senate, calling on DHHS to be held accountable for their failure to protect Mainers with disabilities. Additionally, Ben introduced legislation to require public transportation buses to have audio announcements of upcoming stops in order to make them more accessible for individuals with auditory impairments. Ben fought and won against Paul LePage on Mainers’ access to Naloxone, a life-saving drug for people with opiate addiction. Ben’s bill was vetoed by LePage but the Senate then unanimously overrode the veto, 32-0. Ben has also drafted legislation to support individuals with addictions in making the transition from treatment to recovery. Ben supports property tax relief efforts that help ensure Mainers can afford to stay in their homes. Ben supported an increase to the Homestead Exemption so that now the first $18,800 in property value for Portland homeowners is exempt from property tax. Ben has also been a strong supporter of the Property Tax Fairness Credit (formerly known as the circuit breaker program). While in the State House, Ben drafted legislation that waives college tuition for students living in poverty. As someone who grew up in poverty himself, Ben does not believe that a zip code should limit a student’s ability to get an education and succeed. He supports all efforts to make college more affordable. 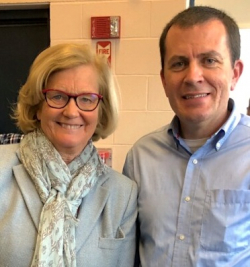 In addition, Ben helped lead the effort in 2012 to block major budget cuts at the University of Southern Maine that would have cut faculty and departments. He believes that we must do all we can to support our public universities.